Traces of Jewish culture - Polish Tours & Travel Agency - Greetings from Poland! Named after the king who invited Jews to Poland in the 14th century, Kazimierz became the flourishing centre of Jewish religion and culture. Due to the policy of religious tolerance that prevailed in Poland from the 15th century, Kazimierz became a safe haven for diverse groups of Jewish refugees from all over Europe. 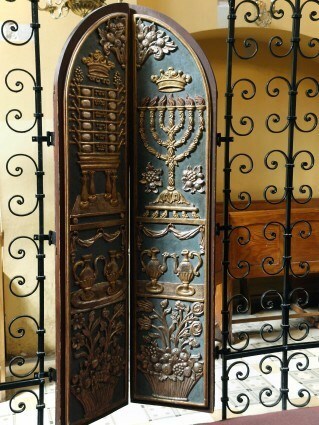 The tour aims to retrace this diversity which resulted in the construction of numerous synagogues (including the oldest of the preserved synagogues in Poland) and a very unique atmosphere which is still present there. Also, you might recognize some of the sights that appeared in the Oscar winning Schindler’s list which was shot in this area. The Jewish culture tour ends with a visit to the monument commemorating the victims of the former Nazi concentration camp in Plaszów. Price includes: English speaking guide, hotel pick up from selected hotels, admission to the Old Synagogue, Remuh Synagogue and Cemetery. Departure time and places: all central located hotels in Krakow, ask us for the departure time from your hotel. Additional info: tours organized daily, with a min 2 persons group.